We all know that adobe Photoshop is the best resource for photo editing which is a desktop tool. This is not alone in the race but has got their popularity far away than all the others in this race of photo editing capabilities. Here in this post, our purpose is to discuss the alternatives to the adobe Photoshop. Since there are two types of tools that are for desktop use and for browser use but in this post we will be sharing the second type that can be used without downloading and installing it on your computer. Since those may not replace Photoshop but will help us make our desire photo editing when we are not in a situation to get access to our primary photo editor. With this in mind to explore browser-based photo editors that can be used In absence of adobe Photoshop, I dived into my browser and collected the below tools after experimenting and excluding those which are not comprehensive or not best for photo editing. Talking about web-based alternatives to photoshop will prompt ipiccy at the top of all. 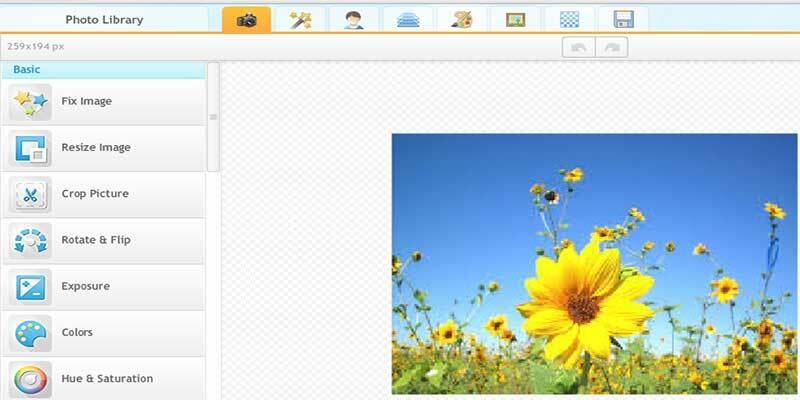 Ipiccy has a simple interface to edit and retouch your photos easily. Ipiccy can either be used for creating photo collage by arranging them in such a way that it becomes a memorable. It has the standard menu-bar at the top that consists of BASIC, RETOUC, EFFECTS, FRAMES AND TEXTURES, choosing any option from this, you will get a list of tools falls under that category at the LEFT side. So keep choosing options and then picking the right tool from the left side to get your task done without opening photoshop or other photo editor. 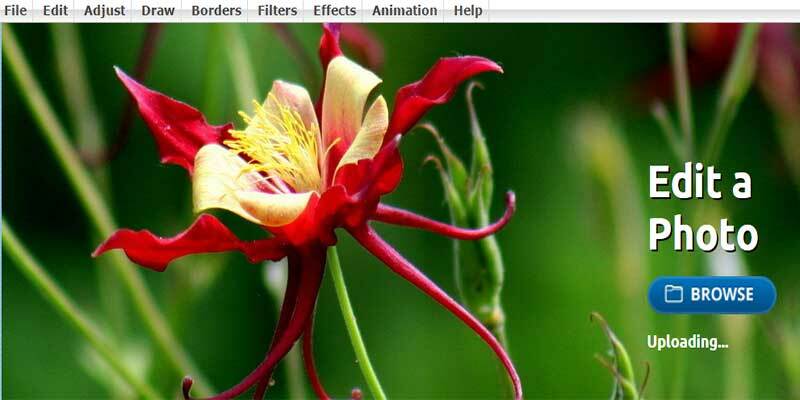 This web-based photo editor follows the photoshop’s interface. 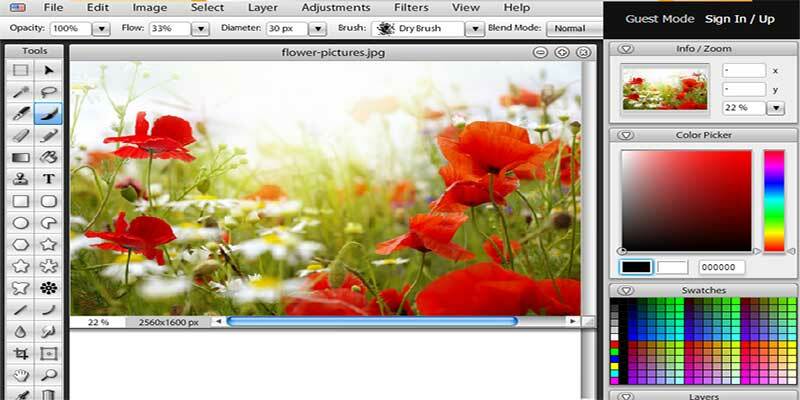 The Free online photoshop provides an interface which is completely as seen in photoshop’s offline software. So if you are familiar with photoshop and feeling difficulty using any other tool than photoshop then this tool is a good choice for you. 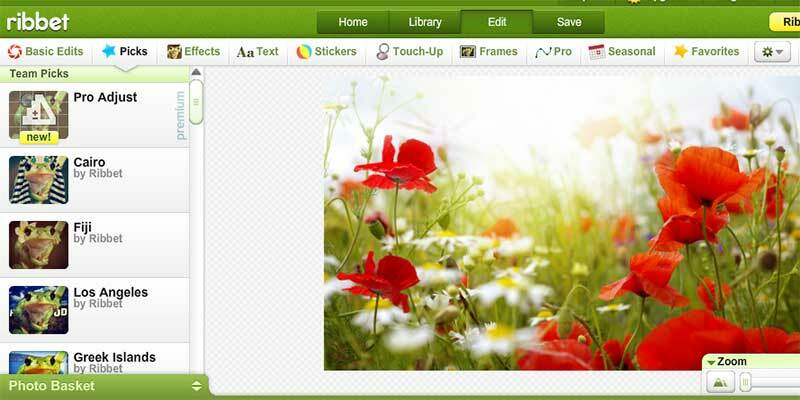 Befunky is one another photo editor that can be used as an alternative to the adobe photoshop. While experiencing the interface, we found this one very interesting as looking at their interface and tools it provides. Lunapic Photo Editor is yet another photo editor with amazing features and tools to enhance and manipulate your photographs within your web-browser. Along with basic editing options and photo effects, it provides animations and drawing like features which makes it more comprehensive tool to be used replacing the adobe photoshop. 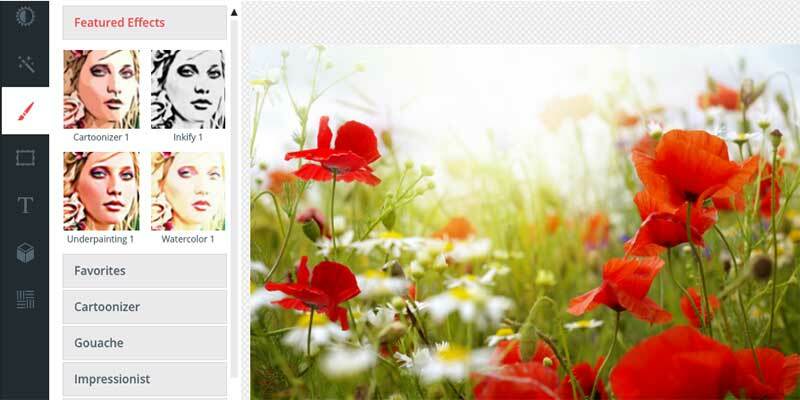 Rebbit lets you edit your photo quickly and easily that is using it directly within your web-browser. With their eye-catching features and handy tools, you will be able to edit and design your photos to make it stunning. You can either make a photo collage or start editing a photo after uploading from your computer. It has a top menu-bar from where you can choose one to work on, those are picks, effects, text, stickers, touch-up, frames and seasonal. Choosing any of the above tools will show a list of tools which falls under the chosen option which you have to pick up in order to get your job done. 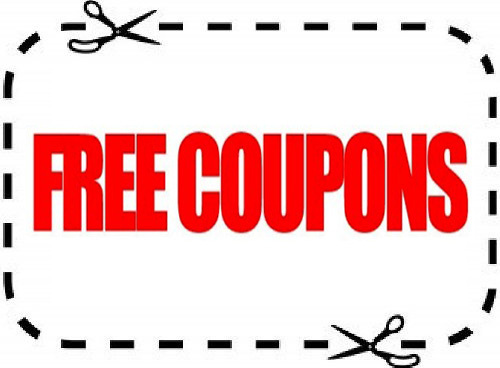 That’s all dear readers, I hope you liked our today’s collection and found it useful. In case of missing any tool that is worth adding, feel free to let us know about that in the comment section. Basheer Ahmad Is a blogger who loves to share alternatives to desktop softwares as he shared the above photoshop online alternatives. Connect with him on Facebook or Google+.